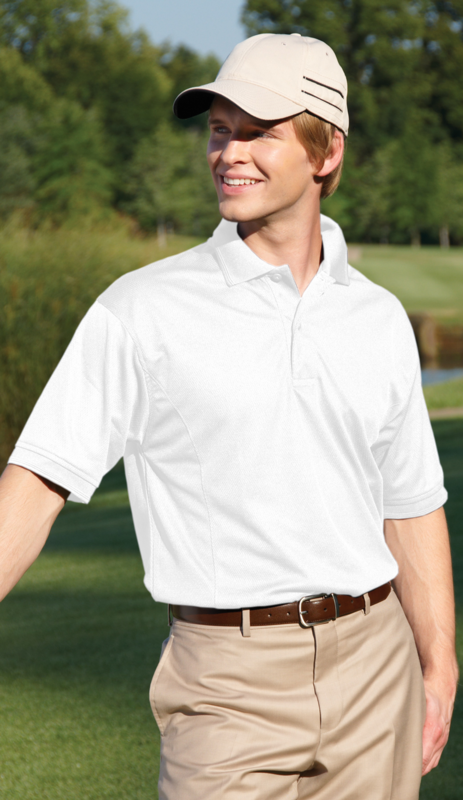 - Willowtec Men's 5.4 Ounce 100% Polyester Willowtec Fashion Cool Mesh Golf Shirt. 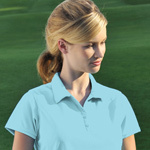 - Featuring moisture wicking and anti-microbial treatments. - Dyed to match side panels and sweat patch. - Two-button placket with dyed to match buttons. - Raised rib collar and welt cuffs, extended tail with side vents. - 5.4 ounce snag resistant fabric. Willowtec Men's 5.4 Ounce 100% Polyester Willowtec Fashion Cool Mesh Golf Shirt. Featuring moisture wicking and anti-microbial treatments. Dyed to match side panels and sweat patch. Two-button placket with dyed to match buttons. Raised rib collar and welt cuffs, extended tail with side vents. Heat seal label. 5.4 ounce snag resistant fabric. Sizes:S-4XL. Colors: Apple, Aqua, Black, Burgundy, Butter, Navy, Red, Royal, White. Style Ships From Pageland, SC.